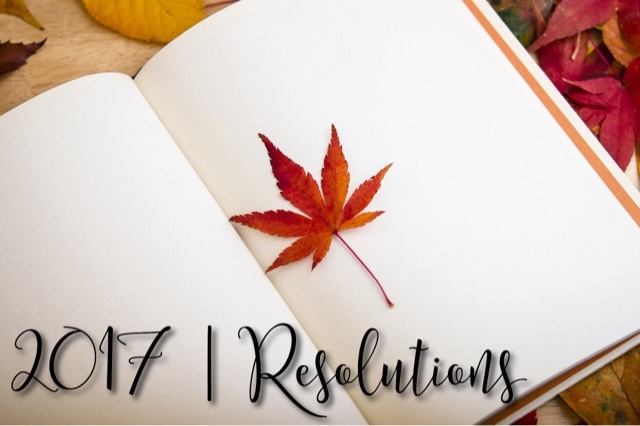 Our Five Favourite Friday this week was on resolutions (if you haven’t read it yet, read it here). So I thought I would follow that post up with my list of resolutions for the year. Lose weight. I make this one year after year. And each year I genuinely have good intentions to actually lose the weight I so desperately need to. There’s a big difference this year compared to previous years in that I’ve already lost half a stone going into 2017 so I’m hoping this gives me the boost I need to continue. Not only that but one of our Christmas presents from my in-laws was a holiday – our first family holiday abroad. I’m super excited for this but I definitely want to lose weight before going anywhere! Budget better. Is anyone actually good at this? I’m certainly not! I get paid and within a week I’ve run out! Time to sort out my finances and budget for the month a bit better I think. Learn a new language. I’m thinking sign language, but only time will tell! Take better care of myself. Eating more healthily, learning how to do my make up properly, bath time soaks with candles, meditation, exercise and caring for my nails and hands. To name a few. Stop biting my nails. Sort of following on from the previous one, part of caring for my nails and hands will be to stop biting my nails. This has been a lifelong habit of mine and it’s time to kick it right out the door! Kick the anxiety & PPD. Talking of kicking things out the door, I really want to be free from my anxiety and PPD. I’ve talked about it before and I finally plucked up the courage to go the doctors and ask for help. They referred me and I finally got an appointment to see a therapist for CBT. I’ve been doing this for a few months now and I’m learning how to control my thoughts. I also find that just going to talk really helps, so I might see if that can continue even when CBT is over. What I will be most proud of is that I will have managed to do it all without the need for tablets as the thought of depending on medication terrifies me. Complete my NVQ. So this should be really easy to do. I’m over half way through now and although I still have a lot to complete and work through I am confident I should be able to complete this by the middle of the year. Improve my relationships. Whether this is my friendships, my relationship with my partner or even with my son, I think that there is a lot of room for improvement. I’m not the easiest person to live with or deal with, I think that’s mainly down to my PPD & anxiety. But I don’t want to use that as an excuse. I want to improve who I am as a person and repair broken friendships, improve run down relationships and overall make more of an effort where I can. Last but not least, make a big commitment. So, me and my partner have been together 9 years, 10 years in November. We have a house, and a son. The next thing for me would be getting married. So, I would love it if we could get engaged this year. It would really make my year – only time will tell! So, there are my main resolutions for 2017. I have these ones for the year but I have ones that I want to make as monthly resolutions – ones that are less daunting when completed month by month. I’d really like to try and do regular updates on how I’m getting on with my resolutions, although I’ve already scheduled in my diary to do a 6 month resolution review.